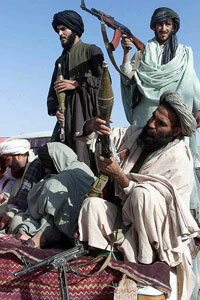 The word Taliban is from the Pashto language which means "students." Pashto is a language in Afghanistan, and the language is also known as Afghani. It is an Indo-European language spoken primarily in Afghanistan, and northwestern Pakistan. The Taliban is not a religious denomination, or sect, of Islam; rather, it is an ultraconservative political and religious faction that emerged in Afghanistan in the mid 1990s following the withdrawal of Soviet troops, the collapse of Afghanistan's communist regime, and the subsequent breakdown in civil order. 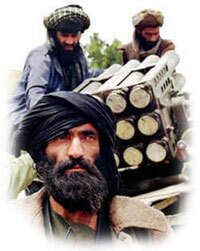 Afghan mujahideen warlords replaced their war with the Soviets with an Afghanistan civil war. There was no such thing as the Taliban until the Afghanistan's civil war in the wake of Soviet troops' withdrawal in 1989, after a decade-long occupation. By the time their last troops withdrew in February 1989, the Soviets had left a nation in social and economic shards, 1,500,000 dead, millions of refugees and orphans in Iran and Pakistan, and a gaping political vacuum that warlords (mujahideen) attempted to fill. So, the birth of the Taliban was the result of Afghan refugees fleeing Soviet occupiers in the 1980s, and the resulting Afghan civil war of the 1990s. They settled by the hundreds of thousands in the North-West Frontier Province, an area in the Federal Administered Tribal Areas located in Pakistan. Pakistan attained independence from the British in 1947. The Federally Administered Tribal Areas is the smallest of four provinces in Pakistan, and are literally a "state within a state." The territories of tribal areas formed a part of the Punjab Province until the North-West Frontier Province was carved-out, and created by the British in 1901. While they are Pakistani-administered provinces, and are a series of semi-autonomous areas of Pakistan, the inhabitants of the Federal Administered Tribal Areas were not made subject to the Pakistani legal code. These areas are locally governed, and are free to govern themselves according to their own customs. This mass exodus of refugees placed a real burden on the local economy of the North-West Frontier Province; however, with the financial help of Pakistan and Saudi Arabia, this gave rise to madrassas (Islamic religious schools) by the hundreds where young Afghans, orphaned by the wars back home, were educated along strict ideological lines -- encouraged by Pakistani and Saudi authorities to develop militantly inclined Islamists. 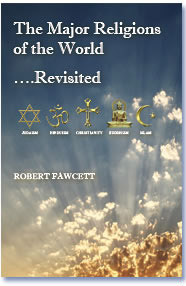 Therefore, Saudi Arabia had an opening to further Wahhabism, (See Islamic Denominations) its official religion. Pakistan's military dictator, General Zia ul Haq (1924-1988), a devout Wahabi himself, decided to establish this network of madrassas to train and educate the young minds in the art of hating the US/Zionism. He wanted these madrassas to become a permanent supply source of mujahideen. As to background, Pakistan nurtured that corps of militants as proxy fighters in Pakistan's ongoing conflict with India over Kashmir. (India administers Kashmir which is part of a disputed territory administered by three countries: India, Pakistan, and China.) In addition, Pakistan consciously intended to use the madrassas' militants as leverage to control Afghanistan, also. So, these orphans grew-up never knowing either Afghanistan or their parents, especially their mothers. Fewer than 20% were literate. The result is that those young Afghan "students," from those madrassas, became the backbone of the Taliban. Following the collapse of the Taliban regime in Afghanistan in 2001, the North-West Frontier Province of Pakistan became a refuge for Taliban and mujahideen fighters. This province is now controlled by the Taliban. The Taliban seek to establish a puritanical caliphate; meaning, the era of Islam's ascendancy from the death of Mohammed until the 13th century. Some Muslims still maintain that the Muslim world must always have a caliph as head of the community: "their goal was to reestablish the Caliphate." A Caliph (also calif, or Khalifah) is the civil and religious leader of a Muslim state considered to be a representative of Allah on earth. Radical Muslims believe "a Khalifah will unite all Islamic lands and people, and subjugate (conquer) the rest of the world." This is to be a caliphate that neither recognizes nor tolerates forms of Islam divergent from their own. They scorn democracy, or any secular or pluralistic political process, as an offense against Islam. However, the Taliban's Islam, a close kin of Saudi Arabian Wahhabism due to the Saudi involvement in education, is far more perversion than interpretation. The Taliban's version of Islamic law, or Shari'a, is historically inaccurate, contradictory, self-serving, and fundamentally deviant from prevailing interpretations of Islamic law and practice.